Hibernate option is missing from the Power Options in the Control Panel? Did you install driver updates but still couldn’t get the Hibernate option back? Hibernate is one of the power saving modes that saves your current system state to hard drive, then power off the system. When you start the PC, it restores that state, letting you resume from where you left off. 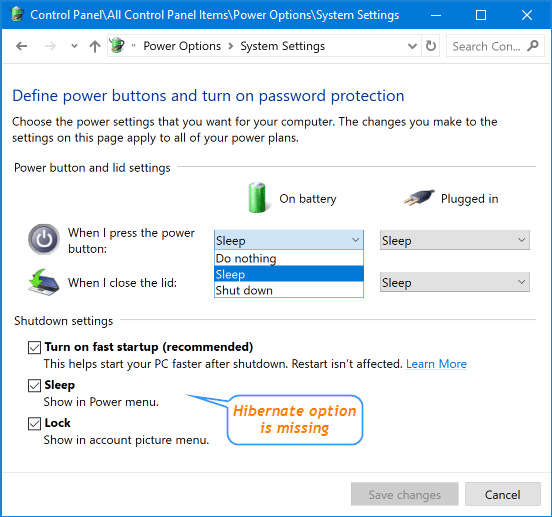 If you prefer to use the hibernate feature on your Windows 10 PC, here is a simple way to restore the missing Hibernate option back to the Power Options. 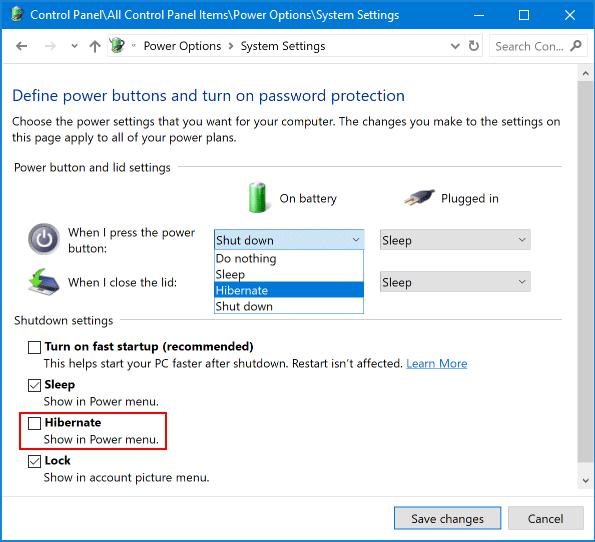 How to Fix: Hibernate Option Missing in Windows 10 Power Options? 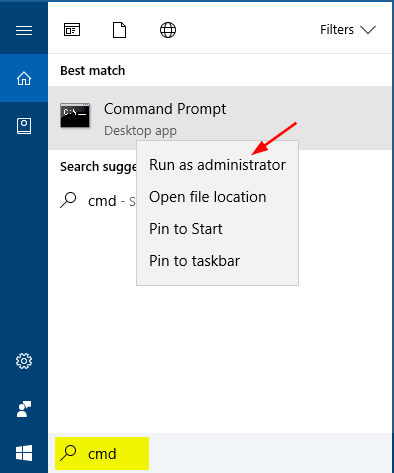 Click the Cortana Search box on your taskbar, type cmd, right click on the Command Prompt and select Run as administrator. Once the Command Prompt is launched, type in the following command to enable the Hibernate feature. Next, run the following command to change the hibernation file type to full. Reboot your computer. You should see the Hibernate option show up in the Power Options.